On this page you will find answers to the most frequently asked questions as well as other useful information regarding our site. Please check this page before sending us a question per e-mail - you will most likely find your answer here much faster! Don't hesitate to contact us, if you cannot find your answer here. ‣ ﻿Why don't changes to the cart get displayed? ‣ How about colours and threads? ‣ ﻿What are cookies and what are they good for? For your convenience the website of Olde Worlde Embroidery is bilingual in German and English. Please choose your preferred language by clicking on the flag icon in the top menu of each page. Although we were very careful in our translations, there still might be differences between the German and English texts. In this case the German version always prevails. The default currency of Olde Worlde Embroidery is Euros (€). For your convenience you can choose to have prices displayed in USD ($) or GBP (£). Please click on the currency icon in the top menu of each page to see the prices in your preferred currency. Exchange rates are updated on regular basis, but are not binding and for your information only. The final exchange rate is set by PayPal or your credit card company. Please note that the only check-out currency is EUR, regardless of the currency displayed! This is caused by a bug in the PayPal gateway and cannot be influenced by us. To make sure your invoice will correspond to the amount and currency you will be charged with, you will have to select "€" to display your cart in Euros, otherwise you will not be able to proceed to the PayPal page. This occurs especially with the browser "Firefox" and may be related to any additionally installed add-ons,﻿ and therefore cannot be influenced by Olde Worlde Embroidery. In this case, you will have to hit Ctrl+R or F5 to manually refresh the page ﻿in order to see the changes in the cart after deleting an element. All our embroidery files are available in .dst format at least. Additionally most of our designs come in .pes, .vp3 and .jef formats too. The ZIP-files contain all available formats. In the unlikely event that your machine is unable to read any of these formats, please convert the designs by using software such as Pulse Ambassador or Wilcom Truesizer, which can be obtained for free. 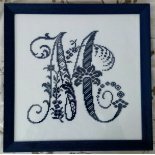 Olde Worlde Embroidery does not provide any conversion service. The ZIP-files﻿ do not include charted patterns for hand embroidery! References in the colour change sheets are intended as suggestions only. Feel free to use those colours you like best! The original charts on which Olde Worlde Embroidery designs are based, were usually without colour specifications. Where the original designs contained colour charts, this is noted in the product description. In such rare cases, we have tried to identify and reproduce the original colours by their names and the DMC palette (for hand-embroidery thread). You can use either standard 40ct polyester or rayon embroidery thread to stitch out our cross stitch patterns, or try cotton sewing thread. In this case, we recommend to increase the patterns by about 10%. 1. Search using the search box in the menu bar at the top of every page. Here you can search for any terms, names, product numbers etc. 2. Search for keywords (tags): to find only sets or a specific letter, click on the letter or word in the block with the heading "At a glance" in the left column. 3. Filter by price and/or number of stitches: move the sliders in the block with the heading "Catalog" in the left column to filter the catalog accordingly. Additionally you can narrow the results to one or more categories by selecting the respective checkboxes below the sliders. - This filter option is not available on all pages. We are working on developing a filter option for height and width of our embroidery designs. You can add your embroidery designs to your shopping basket by clicking on the button "Add to Cart". On each page you will always see in page header in the top right corner, ﻿how many products you have already "collected" in your cart and the total value of those products. To order or to remove items from your cart, simply click on the word "Shopping Cart" ﻿in the upper right header. On the shopping cart page you can review your order and remove individual items by clicking the "trash can" icon. Furthermore, below order summary you will find a field for selecting and entering voucher and discount codes. The Olde Worlde Embroidery webshop﻿ allows you to add any embroidery pattern to the cart﻿ only once. If by mistake you try to add a design a second time﻿, you will receive an error message, and the order quantity remains "1". This is to help you to avoid unnecessary duplicate payments. But Attention﻿! The shopping cart is not able to check whether you have already purchased a design previously! If you are not yet logged in, you can do so on the order summary page. You need to have a customer account and to be logged in to place an order. Select your billing address, agree to the Terms of Service and select your payment method to complete the order. If you do not want to complete your order right away, your shopping cart and the items in it are stored, provided you were logged in. When you return to Olde Worlde Embroidery﻿ later, the basket will be displayed to you again. However,﻿ if you were not logged in, your basket will be lost. If you have received a coupon, for example from the birthday club or in a newsletter﻿, you can enter the respective coupon code on the shopping cart summary page. Directly below the order summary there is a section "Take advantage of our exclusive offers" with the input field for the coupon code. • Log in to your customer account and place all the products you wish to order in the shopping cart, but do not complete the order. • Log out from the site and do not place any new order, until you have received our response to your message. After your payment has been processed successfully, you will be informed by e-mail that your design files are ready for download. You will find the download links under "My Account", either on the "My Orders" page or on the "My downloads" page. You can download each file up to three times. Thus if a ZIP-file becomes corrupt during the download, you can try again. (In this case we recommend to try with another web browser.) If after three download attempts the file is still damaged, please send us a message and we will check the download file and send you the file as e-mail attachment. 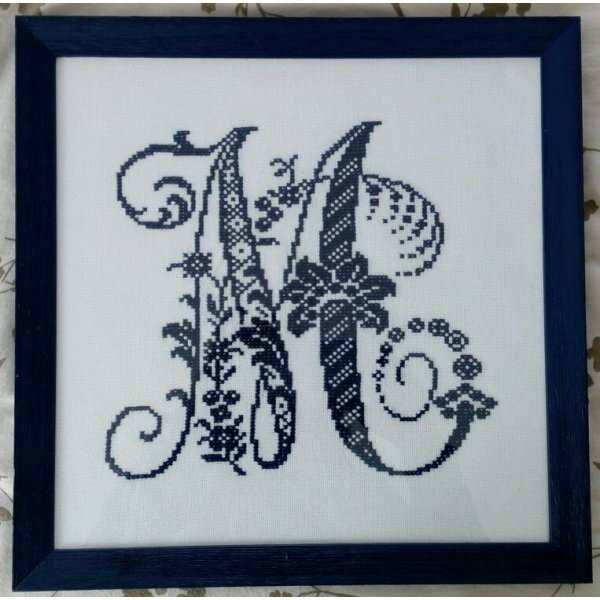 The embroidery designs come as ZIP-files. To open those archives and copy the files contained therein to your hard-disk, you might need an unzipping program such as WinZIP, WinRAR or 7-zip. Newer operating systems already include an unzip routine﻿. You can add designs you do not want to order right away, but want to remember, to your Favourites to quickly find them again later. You can find your favourites in "My Account" -> "My Favourites". To order a design from your favourites list, click on it in your favourites list and put it into the cart. Do not forget to remove it from your favourites afterwards! Our cookies you can not eat. Cookies are small text files which are stored on our website's visitor's computer. These files only store data. They do not produce viruses, your computer will not be attacked and you will not be spied on. The aim of the cookie is only to store your personal activities on our site, so you can safely navigate our website and your shopping does not get mixed up with any other customer, and they allow us to recognize you on your next visit. Also for your and our security, data we obtain from your browser during your visit will be stored in our log files automatically. This means that your IP address is known and there is a corresponding cookie created on your computer. This cookie ensures that the processing of your order can be properly handled.